Introduction to Push NotificationPush Notification are those messages which pops up on your screen containing information regarding a certain mobile app. Those messages pops up even if your apps are not opened. They are used for a lots of things, such as, for sending cricket’s score, for sending weather report, for sending a sale alert etc. Each mobile platforms has their own services for this. In this article, we are going to discuss the services regarding Android Devices. Push Notifications helps you to reach out to your customers. It is like an one-on-one conversation between you and your customer. By using Push Notification, you can remind your subscribers to visit and re-visit your website. App notifications can take full advantage of the device features – the camera, GPS, compass, contact list, whereas web push notifications can’t tap into any of these features yet. Apps can only be installed on tablets and smartphones and hence are limited to these devices only. Web push notifications, on the other hand, can be used to reach users on Desktop as well as Mobiles. App notifications support rich media which includes images, videos, GIFs, audio, and other interactive elements. Web push notifications only support large images, GIFs and sound, that too only on Chrome 56 and above. Free Subscription: There are tons of services which provide free subscriptions. It will help you to start your push notification business. Once it starts giving revenue, you can change your subscription to the paid once, which allows you to send to a larger amount of the audience. But as a beginner, you can start with the free ones. The subscription is pretty easy as well. Instant Communication: It is a service which provides instant communication with your users. They replies to your notifications with the means of ‘Clicks’. Apart from that it also provides Instant Delivery. It consumes very less time. This is the reason it has left behind the tradition of Email. The only provision is that the subscriber must has its browser open. Privacy Protected: Push Notification uses to service of Google. And Google makes sure that the information of its users remain Private. In no way it is going to get out. That is why, unlike Emails, these notifications cannot be shared with third parties. Time-Efficient: The most desirable feature of Push Notification is that it is Time efficient. The delivery of the push Notifications barely takes any time. The whole process is done in the real-time basis. You do not have to fear of losing any of your subscriber for time-bound acts, as these are instant messages. Conversion is high: These notifications are compact and catches the eyes of the users very easily. This is the reason they don’t delay in checking out the notifications. which in turn helps in converting the probable customers to subscribers. Multi-Platform performer: Push Notification are compatible for almost all the browsers world-wide. Browser Push Notifications work on platforms like Google Chrome, Mozilla Firefox and Safari which have a combined market share of more than 75%. This explains the growing rate of this trend. Delivery is Assured: Push Notifications, even though they are instant, does not mean are not assured. These has assured delivery, which stills the limelight. Unlike Email, there is no fear of not reaching the users by going to Spams or Junk or any other reason. Compact Message: Push Notification are compact in nature. So, it does not consume a lot of time of the reader. Which means the users can spend more time on the information. In short, reading the message won’t consume time so the user can directly act on the information. Personalization: This is another highlighting feature of Push Notification. Segmenting the subscribers helps in increasing proper traffic. Personalization helps in sending the right message to the right person in the right time. High response: It has been found in the studies that the response rate of Push Notification is higher than any other digital marketing platform. 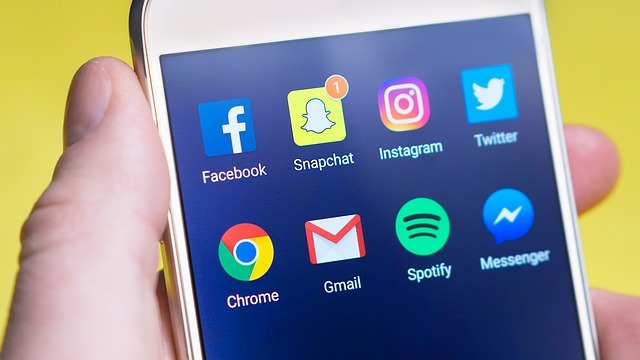 With the increase in popularity and efficiency, Push notifications for the web will soon become an essential part of your marketing and promotional world. They are the perfect solution for being able to communicate with your subscribers in real time. This also increases engagement with your website and brand, and helps you grow your customer base and your business’s bottom line. Push Notification vs. Email Marketing: How to Choose the Right One?